Your demand for games with flapping birds has increased to such a degree that it's time to finally feed your cravings. Change Frothy Bird's colors to feast on what's coming his way. How high can you get? 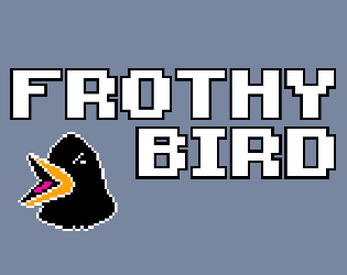 Developed as part of Flappy Jam 2014! Now with high score tracking and a consistent font! So frothy! This is the original version of Frothy Bird. The full, complete, ultimate version is available on other platforms now, including the Windows Store for desktop and Windows Phone.